The International Studies major is one of the most challenging academic programs at the University of Mississippi. We know that our graduates will be competing with bright, talented young men and women from around the nation—and the world— when they enter the job market or apply to graduate school. Consequently, the Croft Institute has higher standards of admission than the University in general. We are looking for students who have distinguished themselves in high school, both in their academic work and their interest in the wider world. A high GPA and high standardized-test scores are always a plus, but we are also interested in students who have studied a foreign language extensively or spent significant time abroad. If you think you fit this profile and you are interested in international studies, we want you! Once accepted into the Croft Institute, you will be challenged to analyze a wide variety of data, think clearly, and express yourself well. Professors expect their students to work hard and be prepared for class, but in return they give them the attention and support they need to excel. The atmosphere is collaborative, not competitive. Croft students often study together and help each other succeed. Our students rise to the challenges we give them and are consistently among the most academically accomplished at the University. A large majority belongs to the Sally McDonnell Barksdale Honors College. Our students receive more than their share of University-wide awards and national honors like Phi Beta Kappa and Phi Kappa Phi, and they go on to some of the most prestigious graduate programs and careers. The Sally McDonnell Barksdale Honors College gives eligible students the opportunity to fulfill their general education requirements with small, seminar-style classes instead of large lectures. It also provides additional advising, opportunities for research, travel, and service, and social activities. 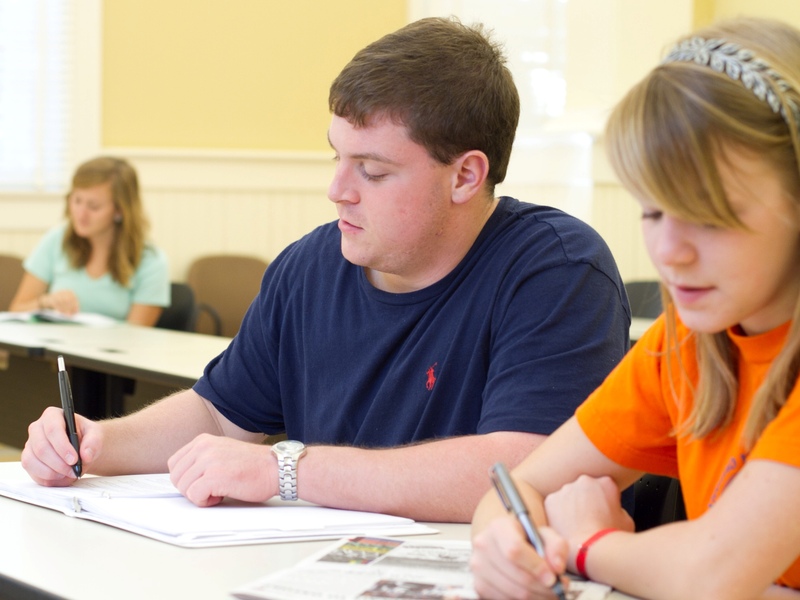 Most Croft students are also part of the Honors College, and the two programs work very well together. Many Croft classes give Honors credit, and the Croft senior thesis more than fulfills the Honors College thesis requirement. If you are interested in the Croft Institute, you owe it to yourself to seriously consider the Sally McDonnell Barksdale Honors College as well. "The Croft Institute has offered an invaluable education that will undoubtedly serve as the academic basis from which I plan to build my career. The combination of a challenging curriculum and an intelligent yet eager faculty has prepared me for various walks of life. Whichever path I choose to pursue following undergraduate school, the Croft Institute has served as an excellent starting point in terms of academic discipline, shaping of character, and enlightenment to the realities of the ever-changing world that surrounds us."